December 19, 2018 in Star Wars Wed.
You never know where Star Wars themes will show up…. November 28, 2018 in Star Wars Wed. This week brings a new preview at FFG and an unexpected and interesting twitter thread on The Last Jedi. 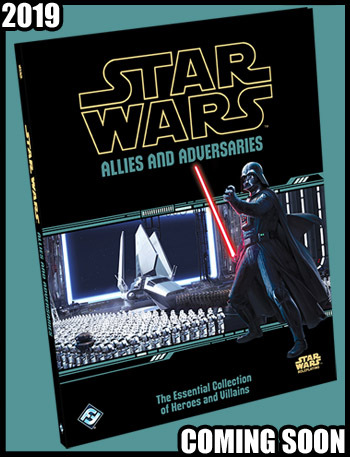 October 31, 2018 in Star Wars Wed.
August 22, 2018 in Star Wars Wed.
Star Wars Age of Rebellion Cyphers and Masks is interesting in that there have been few past Star Wars RPG resources devoted to spies and espionage. Infiltration and working behind enemy lines is obviously a major element in Rebel era games and touched on often in all kinds of sourcebooks. WEG's various Cracken's books were intelligence oriented, some with gear, though most concentrated more on providing NPC adversaries and some adventure ideas. 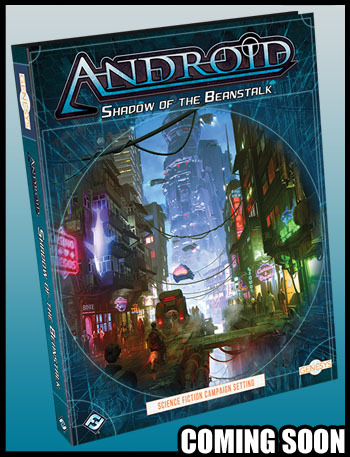 Cyphers and Masks is the first to really pull together in one place, everything from character options to spy gear to campaign ideas, to new ways to use the narrative dice with skill checks.